Action. Adventure. Drama. 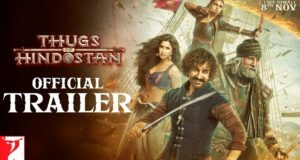 Get ready to watch it all on the big screen! Katrina Kaif settled on a red lehenga by Manish Malhotra wearing it with a ruby and precious stone jewelry and ring. I can see this lehenga working for a photoshoot however it doesn’t generally bring out any sentiments, in actuality, even with that striking shading. Katrina was seen promoting education for girls for an NGO in Mumbai, India. Hum jiske peeche lag jaate hain, Life bana dete hain! 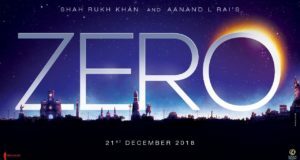 Red Chillies Entertainment and Colour Yellow Production come together to bring the film, produced by Gauri Khan, ZERO is all set to release by December 21st, 2018. Hold on to your sequins, we have ourselves another Manish Malhotra sighting. This time, it’s Katrina Kaif. Side-swept hair, discreet bling and understated make-up rounded out the actor’s look in embellished separates. Don’t know about you, but we sure weren’t fans of the outfit. It did absolutely nothing for Ms. Kaif.